Take Hwy 27 south to the Southern Dunes development on your left (approx. 7 miles south of I4/US27 intersection). Follow the signs to the proshop. Go to Rte 528 (Beeline Expwy). Take Rte 528 (Beach Line Expwy) west to I4. Take I4 west (Tampa) to exit 55 (Hwy 27). Take Hwy 27 south to the Southern Dunes development on your left (approx. 7 miles south of I4/US27 intersection). Follow the signs to the proshop. Exit Poinciana. Take Cypress Pkwy (Rte 580) west to Haines City. Go to US27. Go north on US27 for 1 mile to the golf course on your right. A favorite course for our group for many years. we were alerted before arrival of some issues with the greens. multiple greens had patches of thin or even absent grass. however, the maintenance at the club has managed to keep the greens in very playable condition. no one in our group of 8 felt we should not have played on our date. Beautiful layout but several greens in rough shape. Also a couple of really unfair greens. Overall a great course. After having played this course multiple times before, we were disappointed in the overall greens condition. A few had very little grass. The layout and visual impact are both top-notch. It was saved as the final day course based on its reputation and our previous visits. The poor greens left us a wishing we wouldn't have saved it to be last. If you like dunes/waste bunkers and lots of sand, this is the course for you. It is beautiful and we would definitely go back to this one. Excellent, a must play. Every thing was perfect from tee off to greens. If you are staying in Orlando, the drive time is not worth playing the course. Course and facilities are top notch. Staff was friendly. Driving range was great for pre round warm up. Course is challenging but fair if you can avoid the sand. Would play again. Great course and surpassed my expectations. The clubhouse was not that great but who cares with a course like that! One of my favorite courses. The layout of the course is great meandering through the Southern Dunes estate. Few weak holes. The condition was once again fantastic. The greens are always stunning, always playing remarkably fast and true. Fairways are great and as you would imagine from the name the many, many bunkers are in great condition and very challenging. Course was fantastic! Condition s were pretty much perfect and the layout is unusual for a Fla course with more elevation than you would expect. S Dunes is a must play when in the Orlando area. Nice finishing golf course in our foursome. After five rounds in three days it was a great finishing course I would highly recommend it. Have a great breakfast menu also. Another keeper on our list. Enjoyed the layout. Great golf course. We always play this course on our trip. This course was in great shape. The fairways and greens are well kept. Plenty of bunkers but a fair course. Great condition, great look, the sand trap is a big challenge, but with the good quality of the sand trap everything was perfect. One of the most popular in our group. Southern Dunes was by far the favorite of the group. Definitely will want to play again in the future. Course in wonderful condition a fantastic round. We really enjoyed all the courses but I would say the group's favorite would be Southern Dunes-I played there before and it is so pretty with the 183 bunkers framing the holes. Great standard. Lots of sand, but you can avoid it. Good value and not that far away. Solid course, well maintained and a good test of golf. I usually avoid courses through housing developments but this one is generally well designed. Houses are set back and out of play and the distance between holes is not as bad as many courses through housing developments. We book two rounds at Southern Dunes on each of our Spring golf trips to Florida. Always in excellent shape, we love the course will probably play it every year. Southern Dunes is a very challenging golf course and in very good shape. We consider this the best course in Orlando, we play it every year. One of the best courses I have ever played, great shape and great layout. Been coming here for years for our annual trip. Range was in poor shape. Had trouble holding the greens...so much so that a number of the people in the group do not want to return. First time playing here since greens were redone. Course was in amazing condition. Greens had no blemishes but were the slowest out of all the courses we had played (it did rain a little that morning). With the undulation I'm not sure you would want them that fast though. Really enjoy playing here. Course was good but play was really slow..6 groups on #10 caused us to drive off at halfway stop. Have played annually and it never disappoints us. Always in great condition. A great challenge for all. Greens are quick and true. Great course, staff and pace. Nice place to play. Lots of sandtraps and not much water. Well maintained. Highly recommend. As advertised. Quite satisfactory! would play it again. Fabulous course, best shape it has been in the 5 years we have been coming here! Nice track not for a beginner. Greens are fast and course is in great shape. Welcome back. Another great course. Firm and fast greens. Keep your eye on the ball if it is headed towards the rough. Course was in excellent condition, new greens and tee boxes was a pleasant surprise. Very fair course to play at all levels. Wow. What an amazing round. Fantastic conditions. The greens were perhaps the best I have ever played in my life. Smooth and fast. Played in under 4 hours with a buddy, and we went out again right away for a free replay from TTUSA. Have been talking about playing this course for almost 7 years. Do yourself a favor, do the 30 minute drive from LBV and try this one. Just as good, if not better, than others in area costing twice as much. Brilliant...If you play only once in the Orlando area then make it Southern Dunes! Superb course and challenging but fair for all levels. Staff great and nice clubhouse as well. A little further out but so worth the trip! What a difference a year makes the new greens are first class now. Best course we played all weekend! Hands down! Beautiful course, well maintained. Will definitely play it again. Awesome course, definitely in my top 2 in the area, along with Tranquilo! We were totally impressed on our drive in to the course, it looked pristine! And it played as good as it looked. Once again the staff was very helpful, and friendly. Especially Bob the starter from Chicago, totally enjoyed talking with him while waiting to tee off on our replay! This one will be a must play when we come back down in the fall. Love this course. Challenging but forgiving. Lots of changes over the past 6 years but all for the better. Course is challenging, scenic and worth every dollar spent. Staff welcoming and very helpful. One of our favorites when visiting the Orlando area. The course from tee box to green was in great shape. The layout had a lot of character, challenging yet fair. Everyone in my group enjoyed it. We have taken our Spring Trip to Orlando 3 times now over the last 12 years and Southern Dunes is always my highlight. This course is fantastic and the subtle changes they've made over the past 1-2 years look like they've been there forever. The new greens are in great shape and already rolling nicely. This is a MUST play when in Orlando. Great layout greens were overdressed so sand made putting a little difficult. Practice facility was great. It was our 1st season @Dunes, and the course was in great shape. A lot of Dunes, obviosly, we?ll be back next year! This course will test all your golfing skills. Make sure your sand game is ready. Throughly enjoyed our day with a large group of 20 golfers. Great course, great staff, great bar and restaurant AAAAA all around, 4 hour round, nice..would play it three times. Played 7 rounds in 7 days with our party of 8 from the Uk. This was the best round of all as the course, staff and restaurant/bar were all excellent. The price was a lot higher than most of the other courses played, but was worth the extra and we will certainly return next year. This course is incredibly nice. They said they lost their greens a few years ago, and since then the course and the carts are new! The staff here are very friendly, from the bag drop to the bar staff. Exceptional value for money and one of the nicest courses you will find in the Orlando area. Best golf course we played of the six. Outstanding layout. Course was in great shape and felt like it was in a different part of the country. A must for anyone to play. Course was in great shape, especially the sand traps, glad we brought our sand toys. Course was in great shape. All of our 28 golfers asked to keep SD on our play list for 2018. We absolutely love this course, missed it last year because of the Greens issue. We rated it #1 out of six courses we played. Beautiful course! One of the best groomed I've ever played. Perfect roll on the greens. Just stay out of the bunkers! The only drawback is the close proximity of the houses, which takes away from the beauty of the course and makes for some nervous shots. The course looks good and comfortable clubhouse. Greens are new but are too hard and do not hold even on a good shot. What a great course. 180 something bunkers. Fastest and smoothest greens I've ever played. Running I would say at 12-12.5 they are firm but will hold a well struck ball. You have to hit real golf shots to play well. It is a very fair course, but I could see some brutal scores here as well. Loved it from beginning to end. If you're a high ball hitter and your friend isn't, bring him here you'll clean up. The Bermuda fairways were tough for me being from Michigan. I walked off 18 shaking my head about the awesome greens. Great course, greens were slower than usual due to recent overseeding, but still rolled true. Great layout. New greens that were hard as a rock. Did not hold shots. Very fast and in great shape. Enjoyed the course. A beautiful well maintained course.Unbelievable bunkering, we planned to play only one round that day, but decided to play an extra 18 for a very reasonable price. Great clubhouse.Good food at reasonable prices. Great course. Plenty of sand. Greens were rock hard - must hit approaches short. Plenty of sand. Great course with new greens that run true and fair.Bunkers on every hole but still very enjoyable for all. Nice course, well conditioned. Keep it out of the 183 sand traps! Excellent course and conditions. Staff was great. Very good course. Well maintained and a challenge. Staff were very pleasant and the food at the restaurant was very good and reasonably priced. Easily one of my favorite courses in the Orlando area. The three things I look for in a course are course design, condition of the course, and pace of play. I really like the course. Each hole is very different and memorable. They were top dressing the greens today, but this course is usually in pristine condition. Played there 3 weeks ago and it was in perfect shape. I have played here here many times and I have never had a problem playing in less than 3 1/2 to 4 hours. A beautiful layout. Again the greens on this date were unappealing visually, however the ball rolled adequately considering a quilted, patched look. We played 36 this day and the clubhouse, staff and amenities were very nice. beautiful layout. Positive: Great golf course with many challenges. Played this course often and always enjoyed it. Friendly staff. Great course-grill has good breakfast and lunch when your playing 36.Greens were fast and I heard they're being replaced.Working Man's Country Club--Value. We were told on arrival that they were having problems with the greens. Each green was diseased and had sand over the whole green. They are planning to replace them during the summer. That said they were true and quick. The course is fantastic, well worth playing. Not tricked up, some beautiful holes and excellent Par 3's. This and Falcon's Fire were in our opinion 'the best'. Always one of our favourites. Course is always in great shape. Lots of bunkers, and huge greens. A must to play. Greens are fast and very receptive to crisp iron shots. Nice course and considering it rained 3.0-3.5 inches that day the course drainage was incredible. 8 of us have been going to Orlando for many, many years. Worth the drive to Haines City. Nice layout, well maintained with fast challenging greens. Friendly staff. Restaurant and bar recommended also. We'll be back! We play this course every year when we are down in January. Worth the drive to Haines City. One of the and if not the best Orlando area golf course to play. Great staff and the course is always in exceptional condition. I would highly recommend this place. Rained in the morning which made it so the course was our own private course. This is a must paly if you are in Orlando. The views on every hole are beautiful and the greens are some of the best. Stop by the roadside stand on 27 on your way out to pick up some fresh shrimp, crabs, fruit, and smoked ribs. Sand, sand and more sand. Beautiful and challenging course. Enjoyed playing there. Just a gorgeous course. It would have been great to play a second 18, but we had a flight to catch. Great clubhouse. They also let us use their showers in the locker room. We were grateful, as it was a very muggy day. Southern Dunes was a joy to play. If you like sand and dunes this is the course to play. It was actually my best round of the week. Course was in excellent shape with a great layout and challenging. Staff was great with the group of 35 we had. A must play if in Orlando. Excellent course and one of our favorites. Course condition- 8/10 Staff friendliness -8/10 Lots of dunes. Great shape and a fun course. Always in our rotation when we go to Orlando area. Service and staff are very friendly. .
First time playing here. Was very impressed by the beautifully manicured grounds. Will definitely play again! Second time at Southern Dunes. This is a great course with a great layout. It's a keeper on our list! I enjoyed the course and would play it again. I can see where it gets it's name from. There are a lot of sand traps here and the course is challenging. A shout out to Kevin Lewis from Teetime USA for setting up a great week of golf! My favorite course - great course to be included in a golf package. Great course and value for money, exceptional. First time played. Very impressed with both course and service. Very nice course. Well cared for. Greens rolled true and fast. Surprised by how soft they were in receiving shots to the green. Loved the layout and was very playable, but enough of a challenge. Very good. Course was in great shape and is quite a layout. Very much a northern feel with fast undulating greens and thick rough and real elevation changes. The condition was perfect, and this is one of the best courses in the region. Great course. In great shape. We all enjoyed this course and could definitely play it again. We had a lot of fun. Not very long layout but fun. Tons of sand traps. Nice greens good service. Great course, lots of sand, greens were very fast and an overall great day. Nice layout. Great shape, fast greens. Friendly staff, especially the starter... great guy. Greens are very good. I give it a 5 out of 5, good for all level golfers.Nice restaurant for breakfast or lunch. I have always had a good golf outing here. One of my favourite courses in the area. This course was in top shape. Awesome course. Really fast and true greens. Do not miss this track! Play from the right teebox and you will have a great day! A wonderful layout, some great holes, the greens were in excellent shape. The whole course has a very nice ambiance. Great golf course, challenging in every respect and man are the greens quick! Best course!!! Excellent conditions from tee to green. Must play!! Will replay next year on our trip. Loved the course. Quick greens. Stay below the pin. Southern Dunes is always a must play and did not disappoint us. Greens were quick and consistent, fairways excellent and tee boxes superb. All around great track. rained out on the back nine but enjoyed the front and would return again. Friendly staff. You have to be able to hit straight shots on this course as there are more bunkers here [and larger ones] than any other course in Orlando. Enjoyable but challenging. Beautiful course - extremely challenging. 180 bunkers - no straight putts. Triple bogeys lurking on every hole. Great clubhouse and service. You need your A game at this course. Spectacular course - enjoyed it so much we played a replay round. Great layout and beautiful views from the tee boxes. Course is challenging but very much worth playing. A course we love to play - and play it every year. Staff is friendly and efficient. I love this course and will be playing it next year also. The fairways were great and the greens rolled very true. Very picturesque and the sand traps were actually fun to pay out of. Faiways and greens in great condition. Greens very consistent. Nice course layout. Would play it again! Excellent course! Very challenging and picturesque. More sand than the State of Florida. Some traps were so large they included hazards inside the traps. Bring your sand wedge and a beach towel! Loved it. Great course. Always in great shape. Greens are quick and in great shape. It is worth the price to play here. We always play here each year. Excellent golf course! Good ameneties - group rated it as must play again next year! spectacular layout - fast greens - well worth playing. Had a great time on a nice course. Worth the time and money. Fantastic course in fantastic shape. Quick greens - lots of sand - and elevation changes in central Fla. This is the best bang for the buck in the Orlando area. Book a tee time ! Southern Dunes is a must play for any Orlando golf trip.The new greens are lightning fast. Will be back in the spring. This course is amazing. Bunkers are everywhere andintimidating. Definitely want to put it in the fairway. Highlyrecommended. My group has played this course for the past 4 - 5years. It is always in good shape. Generous fairways and greens. Greens rolled really nice. An enjoyable experience. Course was in OK shape and a really great layout! People at the course were great to work with and very accommodating. Southern Dunes was a fun course to play. The staff wasgreat and thanks to Shannon at Teetimes USA - it made it veryaffordable to played. Another enjoyable course but a little tighter thanFalcons Fire. Plenty of sand traps make up for the lack of waterhazards. In excellent condition and facilities superb. Great golf course and great staff. Really enjoyed this course - layout - condition - so much we did a replay! Nice course - and friendly accommodating staff. Wasrecommended by friends to play and was glad I did. Fair test withsome nice holes. Will definitely play it again. Would highlyrecommend the course to anyone. Have always loved playing this course. Great service and great conditions. Worth the drive. Great golf course. I highly recommend it. Our group all loved this course. It's in greatcondition. Played this course 3 times now and will continue toplay it each time I am in Florida. I love the layout andencourage the bunkers. Beautiful golf course - wide open just try and stay out of the traps. Very friendly staff - we'll definetly play again next year. Beautiful course. Challenging but fair for all Levels. Very good staff. Great great great value for price. A true 4.5. Really enjoyed the course. Was in great shape. Will be playing again. This was our first time on this course and we will beback. Houses are around it but never an intrusion. Big fastgreens. An annual favorite. A joy to play with consistentlygreat conditions. Will be on our schedule again next year. Course is always one of our favorites. Don't really remember the greens being as quick as they were. Conditions were great. Can't wait to go back. Played it twice. Beautiful course. Well maintained. Would play it again. Amazing course. The bunkers were in great shape andthe layout was unique and challenging. My group would love toreturn and play this course again! We loved Southern Dunes. Maybe the best greens I have ever played on. The course is gorgeous and the bunkers do make it quite a challenge. Starter was an engaging character and the Russian cart gal was a lot of fun also. A great day. A real golfers course - tough and requires a variety ofshots. Stick to the driver if you want to visit the many traps. If you like a challenge it belongs on your list. Look at all those bunkers! Most not in play - but I didfind some. Nice variety of holes and nice conditioning. Veryfriendly staff. I'll be back! First rate course. Lots of challenges. Must play course. This is our second year playing and as much fun as itwas last time. Challegeing but fair. Challenging course with plenty of bunkers. Very wellmaintained and friendly staff. Second year in a row playing here. Can't wait to goback. It is worth the trip from the Disney area. This is my groups favorite course. We play it everyyear. Layout - conditioning - speed of greens are overall the bestin the Orlando area. Best course we played by far. Fantastic greens and allof the holes are beautifully framed by a combination of sand - trees and the occasional pond. The housing is not intrusive.Loved it! We enjoy this course every time. Still a place toplay every year. We always play this course...it was a little slow onthe day - but worth it...the course condition is always great anddidn't disappoint...the greens were perfect - true and very veryfast! The most important decision of the day is to choose the right tees for your game. Lots of bunkers which make it a good challenge. Good greens - fast and undulated. This was a very nice golf course with the bestgreens that we played on our trip. A very challenging course - lots of sand - thoroughlyenjoyed playing there. We played this course three times based on a previous trip. Excellent layout and plenty challenging. It's a good course for women from the front tees. Staff is very accommodating and pleasant. Memorable and enjoyable. Worth the short drive to this gem. Only course we replayed. The greens were firm and fast - which made it a little tough for an average golfer - but loved the challenge. Superb condition. Fairways and rough was lush andgreens smooth and fast. Great layout and even better condition. A challenge if you don't keep it straight - but one of ourfavorites. Great course great greens would play every day a mustplay. As the group coordinator - it is very difficult to determine what courses our group will like. Our 12 group members enjoyed Southern Dunes immensely. The greens were quite receptive and our overall experience was superb. Bunkers - bunkers and bunkers ! :) Very nice golfcourse and challenging. Great course! Fast greens and immaculate conditions on the entire course. Would be as good as World Woods except there are some homes surrounding the course. Still well worth it.We will surely play it every time we are in Orlando. This facility is top drawer. The best greens we played accompanied by lush conditions and a great layout. The best of our trip. Great service as well as a good grill room. This has been #1 for the last few years. This is by all means a premium track where you will get a great golfing experience. Fabulous design - nearly 200 bunkers very well maintained. The course is well groomed and the grean are fabulous..playing around 12. This is a must to play. Very nice golf course. The staff were very helpful and professional. Course was in great shape. Would absolutely play it again. Very nice course - convenient to Reunion. A little pricy - but enjoyed the course. Always love this course. Very great staff and coursewas in great shape. A winner! We always enjoy Southern Dunes. This was our 4th time playing the course in the past 6 trips down to Orlando. This is our favorite course. It is always in great shape and the layout is fantastic. The staff is always very friendly. Can't wait to play it again next year. ExcellEnt shape - traps are tough. Great Course - a must play. A 183 bunkers - great fairways and greens. The personnel were the friendliest all week. By far among the nicest courses in the Orlando area. Course condidtions were perfect. Greens are in perfect shape and very fast. Make sure to play this course anytime you're in Orlando area. Great course. of the four we played - this was the best. Layout interesting and not flat and same-looking. Beautiful course. Holy cow! 183 sand traps. I onlyhit seven of them - but I stayed away from the death bunkers. Willplay again no doubt. nice people. Always the highlight course of our trip. We will continue to play it every year. This was the finest course we played in the Orlando area. Staff was excellent. The course was well maintained and the greens were like glass. With more than 180 Bunkers really a nice golfcourse! This course is always on our trip.The course was ingreat shape and the greens were rolling true. Great golf course with greens as fast as any you willplay. I would certainly recommend it. Very good course - excellent condition - fast greens - good layout. I would definately play here again. This course was the surpise of our trip. The condition of the course was outstanding. Greens were true and fast - and fairways were perfect. A smaller club house but a must play for all. I will be back again - no doubts. Well this course is excatly what it states . lots of bunkers and tough greens. [FAST] a TOUGH COURSE FOR THE HIGH HANDICAPPER. Nice facility - I would play again. The course was presented in perfect condition - thegreens are true and fast.The staff were fantastic and we couldwatch the Premier league in the bar afterwards...it doesn't getmuch better! Great as always. Love this place. Nice course - challenging - and well designed. Lotsof sand - so if that's not a strong part of your game be warned. Definitely a good value and I would play again. If you have played Southern Dunes Golf & Country Club, we would like to hear from you. Southern Dunes is consistently ranked among the nation's best. Since 1993, this award-winning facility has captured the hearts of golfers throughout the world. 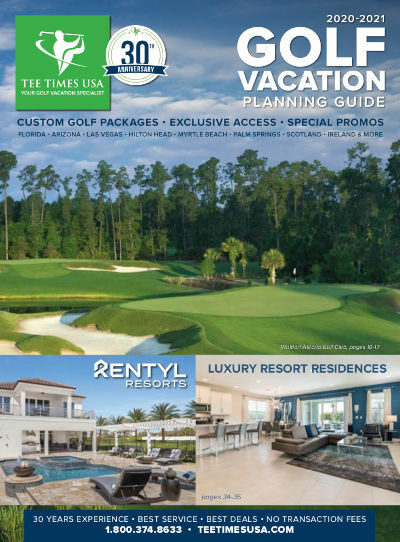 Designed by Steve Smyers, Southern Dunes is a distinctive course that features a dramatic hillside layout, rolling terrain, steep elevation changes and large, fast, undulating greens -- presenting golfers with a challenge unique to Florida golf. The design encourages golfers to use their imagination as the use of the slopes and contours can help maneuver the ball around the massive, high-lipped bunkers. This spectacular design and the newly renovated Dwarf Greens is further enhanced by the high grasses and ornamentals that form the borders for holes that tumble with the terrain. The challenging conditions and impeccable playing surfaces make Southern Dunes a must play when visiting Florida golf. Southern Dunes also features clubhouse amenities, including a full selection of breakfast and lunch menu items, banquet facilities, golf shop and a PGA professional staff for golf instruction.